I actually just started July 9th of this year. I'm especially drawn to paranormal/fantasy books (because Fantasy is More Fun!) but lately I've been branching out into historical and contemporary romances as well. I love every age group - Middle Grade, YA, NA, Adult, Erotica. Age is just a number after all! My all time favorite book is Pride and Prejudice by Jane Austen. I've read it at least 15 times, possibly more. 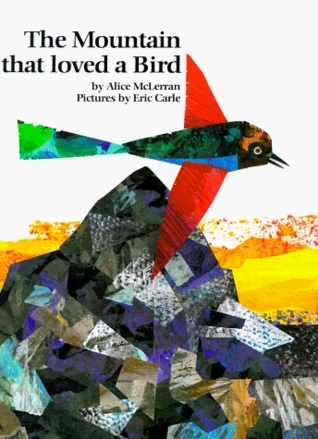 It was the favorite book of a loved one (who was just like Jane) who passed away when I was younger and it's felt like my connection to her all these years later. I have lots of other loves - shout out to the Harry Potter Series - but I'd need a good page to list all of them them! Making so many new friends. I recently reached out to another blogger to see if she would co-host something with me and now we're emailing and texting all the time and it's just amazing that I've formed this friendship over a shared love of reading. And that's just one example out of many! I feel like I've been part of the community for years, not a few short months- everyone has been so welcoming! Q: What were some of your favorite picture books as a kid? If you have kids, what are your favorites to read to them? So many! Let's see - I loved Clifford, Spot, and Berenstain Bears. 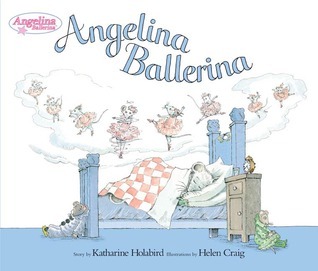 I loved the Angelina Ballerina books. Reading Nook Tour: Give us a tour of your favorite reading spots. Oh my. You picked so many. 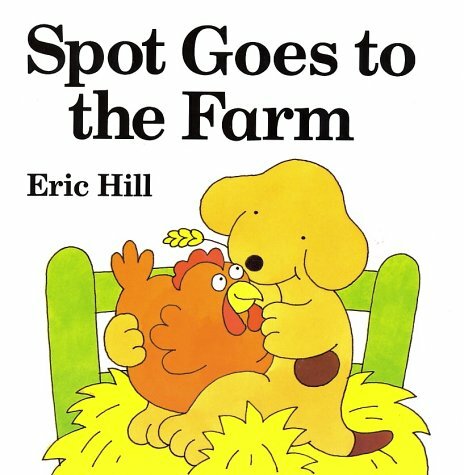 I forgot all about the Spot books. They were definitely one of my kids favorites too. I completely forgot about the Berenstain bears!! I'm gonna have to buy me some of those now! I remember Berenstain Bears. I feel the need to read Creepy Carrots! Oh I forgot all about Angelina Ballerina! That was probably my second favorite after the Berenstain Bears. The Berenstein Bears made my list too! So great! :D Awesome list! The Poky Little Puppy made my list too! And I'd forgotten about Spot...my oldest daughter loved Spot. And my younger daughter was a huge fan of Clifford! Happy Friday, Alison! Oh Man! I only picked one book... I should've pick a whole bunch more!!! Berenstain Bears were my favorites too! I was seriously obsessed with that series and wished I was one of Mama and Papa bears kids. I'm new to Feature & Follow Friday! Out of the ones you mentioned, I've only read Clifford, The Berenstain Bears (which I loved! 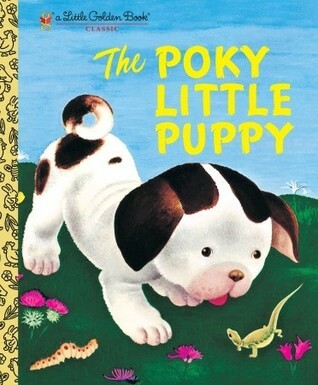 ), and The Poky Little Puppy (which has great memories... my grandma used to read it to me). I didnt have many books when i was young so i put some books that i read grade 3 and up that were more like chapter books. 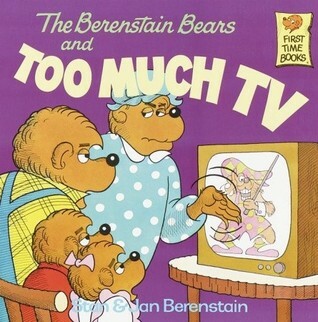 I loved watching the Bernstain bears tv show. I loved the Berenstain Bears. I didn't know which one to pick, and then just forgot to add them at all. Gosh, this is a hard question to answer when I was NOT a reader as a child lol. But really fun and nostalgic! Great question! And I recognize clifford (watched the show) and the berenstain bears! Oh those are some good ones! I remember some of those. =) I picked the Berenstain Bears! Oh I loved the Berenstain Bears too! 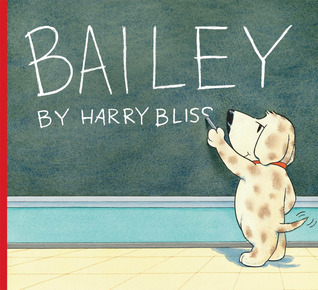 I they they are a must read for every kid of every generation! Lots of good choices!! My kids have that Spot book!! Great choices! 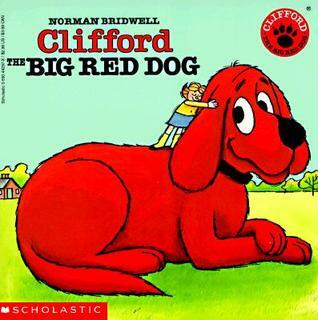 I completely forgot about Clifford! Yay Berenstain Bears!! I had a TON of those books when I was little! I remember Pokey Little Puppy and Too Much TV. My parents used to give me all the Berenstain Bears that pertained to me... Messy Room and Too Much TV and Stage Fright I remember the most. Hope to hear from you someday. Creepy carrots looks awesome I will have to check that out for my son. I also see you liked the Berenstain Bears too. They were my favorite when I was a kid. Loved the post. Just stopping by to say hi, I'm an old follower. 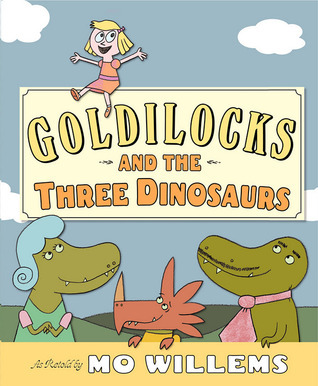 Goldilocks. So many wonderful books we read as kids. I just joined the blog hop :) I really like the question, brought back memories. Have a nice day. Haven't ever heard of most of those lol. All her reads are awesome!!! How could I have forgotten about Spot? Definitely another favorite, thanks for the reminder! 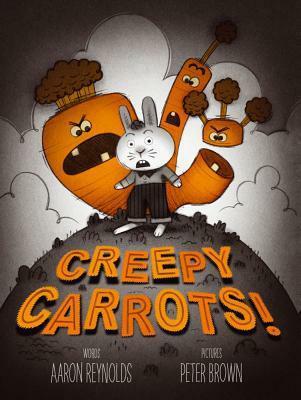 "Creepy Carrots" & Mo Willems are excellent choices! Way to be a fantastic gift giver! The "Knuffle Bunny" books are so funny, and real, and heartfelt. I read all three of them in succession for a Story Time last spring (I work in a Children's Library) and I almost CRIED in front of about 20 kids and their parents. I legitimately got teary-eyed and choked up & had to mentally tell myself to hold it together. She becomes such a little grown-up! And I love that you get to follow her all the way from "Aggle Flaggle Kablabble" & going boneless, to preschool, to when she's a mom with a child of her own. That's storytelling at its finest. Clifford.... How could I have forgotten about Clifford? My little brother was obsessed with Spot. He had the VHS tapes that were like cartoon renderings of the books and everything! :) Thanks for stopping by my FF. 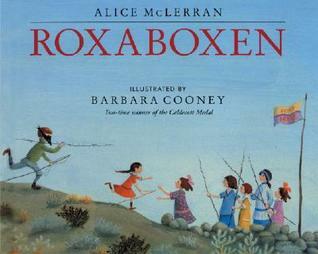 I remember loving Roxaboxen! I used to think ti was so cool, and made me wish I had a big group of friends to organize an imaginary city with. I've actually been remembering the story lately, and trying to think of the title and author lately but couldn't, so thanks for the reminder!